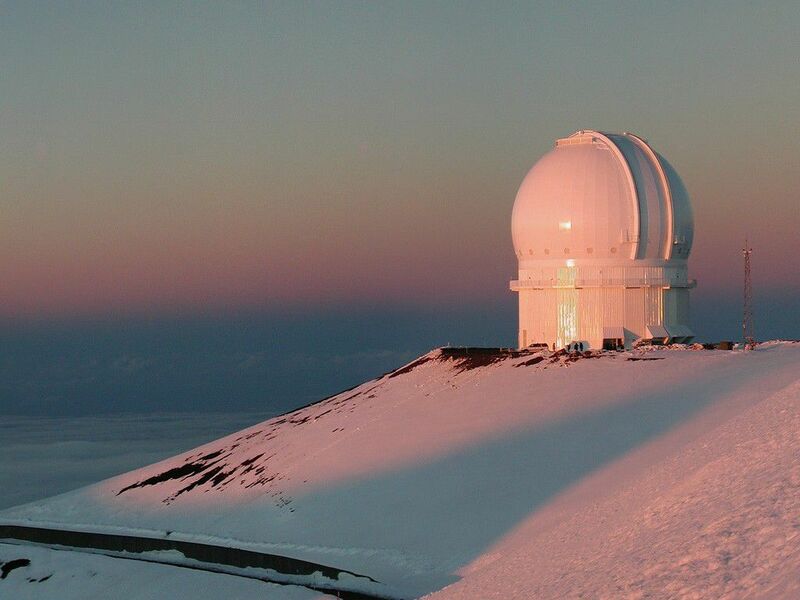 The Canada France Hawaii Telescope is a 3.6 metre diameter telescope installed at an altitude of 4200 metres at the summit of the Mauna Kea volcano on the island of Hawaii. The observatory was created at the end of the 1970s following a tripartite agreement signed in 1974 by France, Canada and the University of Hawaii. At the time it was built, the CFHT was amongst the largest instruments in the world. Today, in the face of the new generation of giant telescopes such as the GTC, the CFHT is having to innovate its astronomical instrumentation to remain competitive. Espadons, a stellar spectropolarimeter that has already been used to detect magnetic fields in the accretion disks of proto-stars. the search for various manifestations of dark energy.